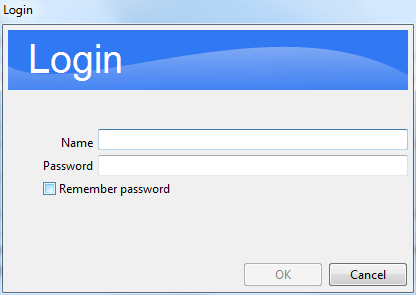 This component is very simple and present a simple and flexible dialog box to authentify a user. It is inspired by the SwingX component. The first thing to do is to create a Verifier by instancing a object that implements the interface LoginDialogVerifier. Then, you create a LoginDialog object, you inject the verifier and you call the open() methods that returns true if the couple login/password is correct, or false if the user pressed on the cancel button. 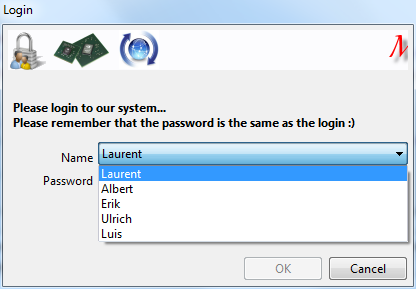 autorizedLogin, if you want to limit the login to a set of users. In this case, the login text box will be replaced by a combo. displayRememberPassword. If true, a checkbox "Remember my password" is displayed. In this case, you can get/set the checkbox by manipulating the property rememberPassword. An example called LoginDialogSnippet.java is available in the plugin org.eclipse.nebula.widgets.opal.logindialog.snippets. This page was last modified 09:22, 21 February 2018 by Laurent CARON.